If you frequent farm markets, grow your own produce or belong to a CSA, especially throughout the summer, the produce that comes into your kitchen might overflow from you refrigerator’s produce drawers. But that’s a good thing! Summer as well as most of the fall are the perfect seasons for indulging, or even over-indulging in the season’s generous bounty of produce. Some time ago, VegKitchen received Progressive International’s Produce Keeper Set* to try out. I’m not sure why it took me so long to give them a shot — I guess I’d gotten used to making do with semi-disposable food storage containers for produce that I liberated from plastic wrapping, or that was bought from markets free from such constraints. And I dutifully used paper towels for wrapping tender leafy greens. Still, as much of a produce aficionado as I am, and as much fresh fruits and berries as we go through, it’s inevitable that some goes bad and (guiltily) into the compost it goes. Once I got into the habit of using these storage containers, I can confidently say that I’ll never go without them again! Honestly, there is never a time, even when it isn’t summer, that at least one, or more often, all three, are in the fridge. I can confidently say that these containers not only extend the life of produce, but because unlike the crowded produce drawer or opaque containers, these clear vessels display your produce in a way that makes it even more enticing! And yes, these are BPA-free. 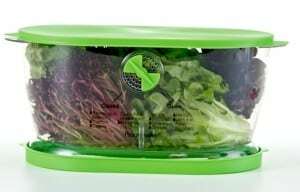 These ventilated containers are especially useful for highly perishable produce, including dark leafy greens, lettuces, and fresh herbs, berries, and grapes. I’ve also used them for mushrooms, snow peas, and baby carrots. 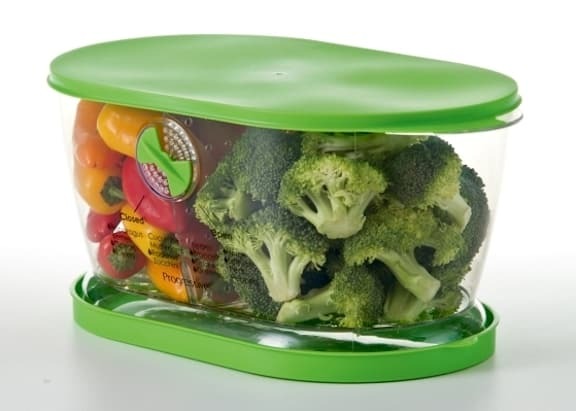 In addition, when I prep veggies like broccoli, kale, or cauliflower ahead of time (trimming them and cutting into small pieces and florets) these storage containers keep them from drying out or going limp. You can buy these containers individually, or, the set of three Produce Keepers includes the Lettuce Keeper (which is also perfect for all kinds of greens), Fruit and Vegetable Keeper, and Berry Keeper. 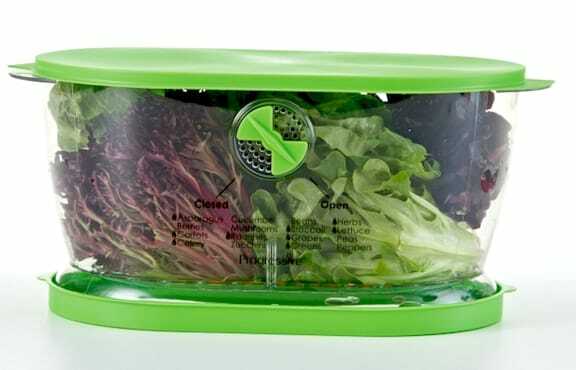 You can also choose the Fruit and Vegetable Keeper and Berry Keeper Set for smaller refrigerators — keeping in mind that the Lettuce Keeper is a rather large container. 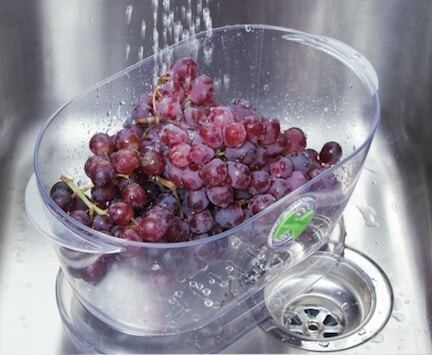 Doubling as a colanders, you can wash and store produce in the same container. A small amount of water goes into the base (though not touching the produce), which helps keep it most. An adjustable vent also assists in air circulation. Individually or as a set, these containers are reasonably priced, but what’s most important to keep in mind is by avoiding having to throw out spoiled or spent produce, you’ll be saving money in the long run. Thanks to Progressive International for introducing VegKitchen readers to this truly useful product, and for the photos used in this post.